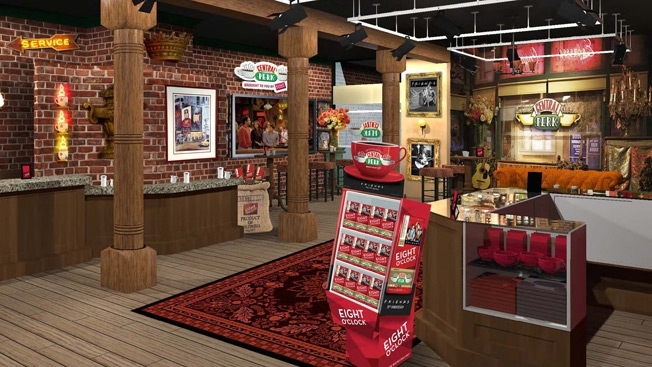 Eight O’Clock Coffee is going live with the cast of “Friends.” The coffee company has brewed up a pop-up version of the iconic Central Perk coffee shop from “Friends” in New York City. Celebrating the 20th anniversary of the timeless television comedy “Friends,” Eight O’Clock Coffee is teaming up with Warner Bros. to open a real-life version of the show’s Central Perk coffee shop. The pop-up shop will be open for a month, starting Sept. 17, and will serve free coffee. What’s not to love? Aah, I totally remember Thursday nights. Eight O’Clock is developing a special Central Perk roast for the shop, and of course “Friends” schwag will be on sale. This is cross-promotion at its finest. 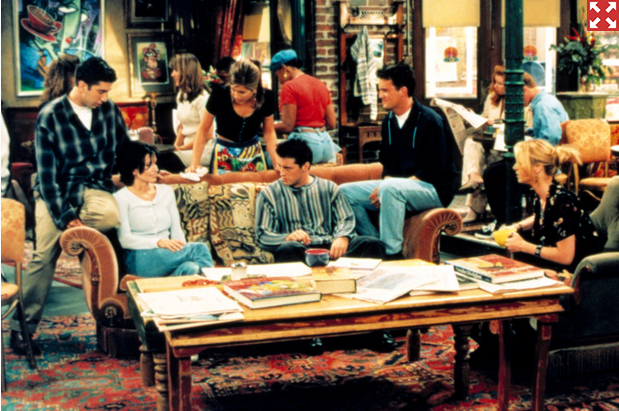 “Friends” and coffee go hand in hand, and the show is still so popular in syndicated reruns that it remains firmly in public consciousness. Sorry, Cheers, no snub intended. The shop will also offer several promotions, including musical performances, and even appearances by cast members. James Michael Tyler, the actor who played Rachel’s co-worker at Central Perk, is booked for an appearance, adding more authenticity to the promotion. You can even sit on the weird orange couch! The campaign will certainly raise Eight O’Clock’s brand awareness. Opening a real-life version of a fictional business is a tremendously original marketing concept, and the fact that Eight O’Clock will sell the Central Perk roast in stores around the country means the promotion isn’t just limited to one market. “Friends” + Eight O’Clock Coffee = Genius. This campaign goes down even smoother than a good cup of latte. Thank you Howard Davidson Arlington MA, for sharing this news. I am already exited about it… ‘Friends’…what a classic! Well, I never really watched friends, and don’t drink Eight O’Clock Coffee, but I think this promotion is amazingly brilliant. However, when I read “pop-up” I did think you meant something like out of “Pop Up Video” Howard Davidson Arlington MA. Thanks for the tip off.